Coconut oil has become the latest buzzword in healthy diets these days. Healthy coconut oil? This goes against everything we have been told for the last 65 years. I must admit I held a lot of misconceptions about coconut oil until I started doing research and talking to people about using the oil. If you want to know a very simple analysis of what I found read below. How to use coconut oil in the kitchen is after the research. If you get bored by the technical stuff, drop down to the kitchen section. The fat found in coconut oil is a medium-chain fatty acid or triglyceride. Most vegetable and seed oils are composed of long-chain fatty acids. The medium-chain fatty acids are easily processed in the liver without insulin spikes. They are easy to break down therefore are used by the liver as energy rather than stored as fat cells like the long-chain fatty acids. promote health in the body. The body converts lauric acid into an anti-viral and anti-bacterial and anti-protozoa substance. Actually the opposite is what is true. We have been told for the last 65 or so years, all saturated fats are bad for you. Consuming saturated fats can lead to health issues. The health issue list includes obesity, heart disease, clogged arteries, high cholesterol, just to name a few. Some saturated fats occur naturally and some are created, like margarine. Bombarding molecules with hydrogen to produce a thick sticky substance has no health benefits whatsoever. Yet this is what has been sold to us in the form of margarine and preached to us by the ad agencies as being “beneficial, healthy, and a better choice than butter. Witness the popularity of things like Country Crock, Parkay and I can’t believe it’s not Butter kind of products. The created products are full of trans-fats, which we should avoid completely. The marketing industry convinced us that because coconut oil was solid at room temperature, it should never be consumed. It was used in cosmetics to benefit the skin, but it was shunned as an ingredient in our diets. Research has discovered these negative myths about coconut oil are not true. Studies have been done on cultures that thrive on coconut oil in their diets to show lower rates of obesity, no cardiovascular disease, and over all better general health than we have in the USA. Coconut oil helps equalize cholesterol levels by promoting HDL in the blood which helps improve the HDL/LDL ratio. Additionally coconut oil helps promote healthy thyroid function thereby also assisting cholesterol and boosting energy and endurance. A boost to the thyroid can also pump up your metabolism, which is a great benefit! Consumption of coconut oil helps the body absorb fat-soluble vitamins. It helps blood sugar stabilize, it can help resist fungus and yeast and can improve how the body uses insulin. Consuming 2 tablespoons of coconut oil daily, in this 2009 study, demonstrated benefits. In this 12-week study, the women did not gain weight but actually lost stomach fat during the study. Reading this study made me decide to give coconut oil a try. You want extra-virgin, organic coconut oil. Read the labels! Not all coconut oil is the same. Some is hydrogenated which is what you want to avoid. Coconut oil has a low melting point (76°F) and a high smoke point (350°F). Store the oil in a cool dry place like a cabinet. Do not store the coconut oil in the refrigerator. Do not store it near the stove because it could cause it to melt. Store it in a cool cabinet away from the stove. It should last about 2 years without going rancid. But if you are using it, it shouldn’t last that long. Use Coconut Oil to saute or pan-fry your meals and snacks. Popcorn is wonderful popped in a bit of coconut oil. Saute kale for an incredible flavor! The sweetness of the coconut oil really enhances and tames the bitterness of kale. Use it to saute any vegetable, chicken, fish, or meat. Use it just as you would any cooking oil. However because it is solid below 76°F, it is best not used in dressings or marinades. Use a quality grade of olive oil for these items instead. Here is another use for coconut oil: replace butter or solid shortening (Crisco or margarine)with equal amounts of coconut oil in baking recipes. Your baked goods will be amazing and much healthier. Does it make everything taste like coconut? While the oil has the very mild scent of coconut, so far I cannot detect the flavor of coconut when I cook with it. 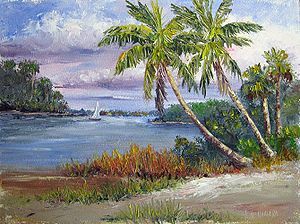 Sometimes things may taste a bit “sweeter” but not like sweet as if you added sugar. Just an enhancement of the natural sweetness that is already there. Last night I marinated some chicken breasts in a spicy “Cockalacky” sauce which is made with sweet potatoes. After the marinade, the breasts were breaded in panko and pan-fried in coconut oil until done. The oil really brought the flavor of the sweet potato used in the marinade, such a nice flavor surprise! While I have added coconut oil to our diets, we still use other oils as well. I enjoy the flavors of various seed and nut oils in salad dressings. Additionally the various oils also have other health benefits. This is not about giving up other oils but about making smarter choices, more informed choices. The key thing to remember fat is fat. Just because it is coconut oil does not mean you can consume mass quantities of it. As with all fats, use it in moderation. For the next 12 weeks, I am going to get 2 tablespoons a day of coconut oil into my diet. I am looking forward to seeing the results. Hopefully my skin and hair will not suffer winter dryness, my tummy fat will start to disappear and I will feel great. I have a physical in soon so it will be interesting to compare the numbers from last year to this. This summer I heard of using coconut oil instead of sunscreen. Personally, I think that’s taking it a bit too far. I love using coconut oil on my skin, it feels so good but instead of sunscreen? “They” may say that coconut is naturally SPF 30 but I think I’ll back it up with some SPF 50 just to be sure. Before foregoing coconut oil for sunscreen, ask your dermatologist their professional opinion! Skin cancer is no laughing matter and not worth a risk. Use all fats in moderation, including coconut oil. While I have lost 13 pounds so far, my goal is 10 more, it isn’t all because of coconut oil. It’s more about making better choices. Do you use coconut oil? Why or why not? Please share your thoughts and experiences so we can all learn something from each other. 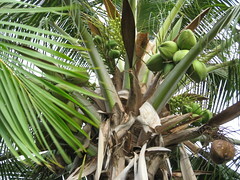 This entry was posted in Cooking, Cooking Thoughts, Nutrition, Preventing Illness, What every good cook should know and tagged Coconut, Coconut oil, Fatty acid, food, health, Lauric acid, medium chain fatty acid, medium chain fatty acids, obesity and heart disease, Parkay, Saturated fat, United States. Bookmark the permalink. ← What do you Keep in your Pantry? I’ve used it for my hands, arms and face and it really soaks in easily, leaves no residue after a few seconds and makes my skin feel much more nourished than the winter heat and chlorine pool leave it! Seriously excited about this info. I have an illness that causes high numbers in my triglycerides, doctors disagree as to causes. I am going to organic food store today! This little silly tidbit…the people on the TV show Survivor eat mega meals of coconut…they walk away very thin. Please let us know how it works for you! Exciting! Coconut oil is fantastic stuff, inside and out! Just watch it going down the drain so you don’t get clogs. Hi Chef Pamela – So where can one find coconut oil in Charlotte? I usually shop at Harris Teeter and don’t recall ever seeing it there. Earth Fare or Whole Foods and Trader Joe’s will carry it. I am doing great. Working part-time at Pier 1 which I love! Getting settled back into the single life. All is well. Auditions for Oratorio are 1/8 -check out http://www.oratoriosingers.org for more info! Would love if you could audition! Let’s get together soon! Really! You are welcome! I am looking forward to hearing about your trip to India! Good summary of the changing picture about coconut oil. As with most things, the worst fears were overstated but, in my humble view, the health benefits have been as well. In any case, it has such a great flavor. Yes, I agree with you about overstatement on both sides of the discussion. At least now we have research we can read and make our own decisions. 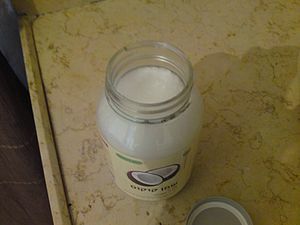 I was very skeptical of eating coconut oil until I read and now I am doing my own discoveries as to how it affects me. Hopefully all will be positive! All he says is that he believes saturated fat is bad and that there arent enough studies on coconut oil. He doesn’t do “real science” he just repeats the standard view and appeals to authority. I enjoyed taking a peek at your site. Thanks for stopping by!